Are you someone who is patient, interested in helping others, even-keeled, and self-confident with excellent people skills? Then, we need you!! 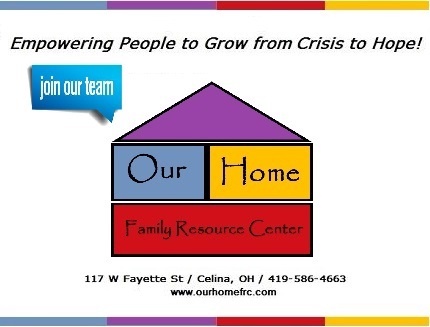 We are looking for applicants interested in part-time work, 5-13 hours per week, to provide supervision for visits between parents and children in the RAFT Supervised Visitation program at Our Home Family Resource Center. The work requires flexibility of scheduling. Hours vary and will include some evening hours (limited to Monday-Thursday) and weekend hours (Saturday morning/afternoon). Successful candidates should be able to deal with difficult and sensitive family situations, as well as be able to intervene in crisis situations. Should have excellent writing ability to record dictation notes for visits, and have a comfort level in use of basic computer applications. A background check is required, as well as a confidentiality agreement.